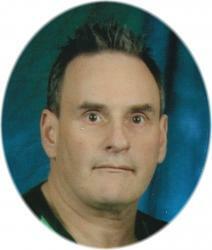 Francis Thomas "Frank" Parker – 54, Truro, passed away peacefully, surrounded by his loving family, on Saturday morning, December 27, 2014, at Colchester East Hants Health Centre, Truro. Born March 7, 1960, in Amherst, and having grown up in Truro, he was the son of the late Donald Parker and Rita (Gillespie) (Parker) MacDonald. Frank was a member of Immaculate Conception Roman Catholic Church and was affiliated with First United Church. He worked with Canada Post for 13 years and then with Canada Life Insurance and Village Mazda. An avid sports fan, he played hockey and baseball. (Triple-A). Frank was fortunate to be able to pursue his lifelong ambition of being a Hall of Fame Wrestling Referee in United States, Western Canada and the Maritimes. He mentored up and coming wrestling champions and connected them with promoters and helped get their careers started. He also helped independent circuits set up their shows, equipment, advertise and promote. He worked as a ring announcer, stage set-up, billet and any other job that needed to be done. In earlier years, he was "The Masked Superstar" on Cable Vision, now Eastlink. He was a history buff, trivia master, loved a good debate and 80s "hair bands" and his MG sports car. He will be sadly missed by his K9 companion, Motley. Frank is survived by his loving wife of 27 years, Karen Lynn (Sullivan); daughters, Haley Parker, Truro; Emily Parker, Halifax; step-father, Jack MacDonald, Truro; brothers-in-law, Roy (Holly) Sullivan, Debert; John (Michelle) Sullivan, Truro; many nieces and nephews. Special thanks are extended to Palliative Care Team at Colchester East Hants Health Centre for their wonderful care.